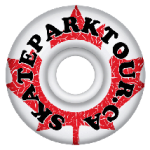 Skateparktour.ca is the most complete Canadian Skatepark directory featuring virtual tours or slide shows of Alberta, BC, Saskatchewan, Manitoba, and Ontario skateparks, In time, the tour will include all 10 provinces and all parks in any of the territories as well. Find skateparks using the search box on the right, or either the map or the filtered list below! 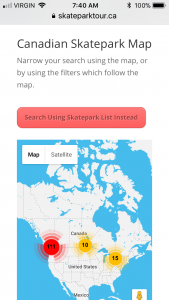 Find skateparks using the search box, map, or the filtered list below! 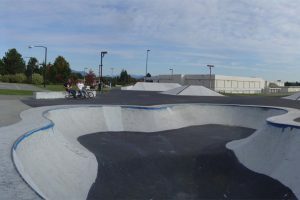 Enter a specific location to see skateparks within the radius you set of that location. Zoom in on the part of Canada that you want to explore the skateparks. 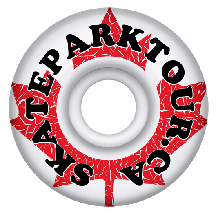 Thanks To Our Skateparktour.ca Lead Partners! The Medicine Hat Skateboard Assciaton Skate Skool is returning and we can’t wait to help the young ones learn to shred! Same time, same place as before! For ages 5-12. 👉🏼Bring $5, a helmet, and a board! Thanks to our sponsors The Summit Center, THE BOARDING HOUSE, and Tim Hortons! 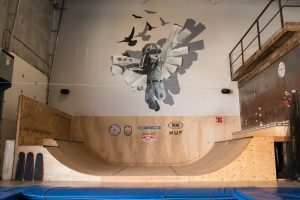 The New Skateparktour.ca Is Live! The new homepage on a mobile phone, showing the interactive map! 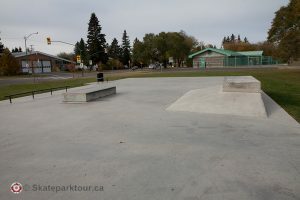 After a long planning process and hours of transferring skatepark information from the old site, the new Skateparktour.ca is live for all to see an use! 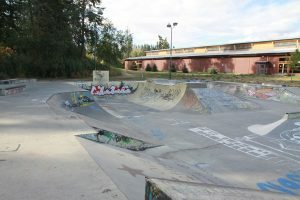 There is still almost 100 skateparks yet to be transferred, but they will come in the next few weeks. It is time for a new look and improved functionality! The first two generations of skateparktour.ca was developed using WYSIWYG editors, Adobe Go LIve then Dreamweaver. About 6 years ago the site move to the Joomla CMS, which brought a new level of technical sophistication to skateparktour, but with the growth in the use of mobile devices, it was time for the Joomla site to be replaced. Responsive display of the virtual tours and photo tours. No more extending beyond the device! Screen shot of the old site on a mobile phone. All of these features mean skateparktour.ca will be a more effective tool to find skateparks near where you live and where you are traveling. 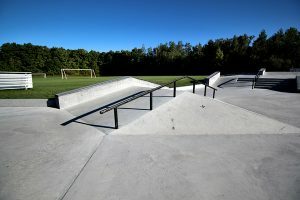 More features are planned, and we’re open to your suggestions and feedback, so don’t hesitate to contact skateparktour.ca! Now if the snow would just go away, we can all get into our skateparks and have a great time in 2018! 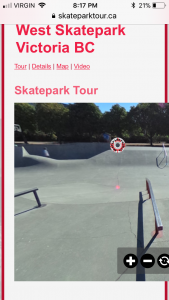 It’s back to the future for Skateparktour.ca as virtual tours return to skateparktour.ca after an absence of a few years! 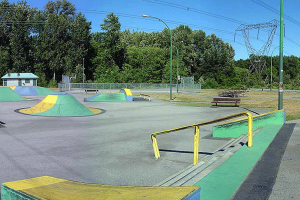 When Skateparktour.ca first went live back in 2006 visitors were able to explore the skateparks using virtual tours created using Apple’s ground breaking QuicktimeVR. The interactive nature of QuicktimeVR let people explore skateparks in an immersive tour, almost as if they were there in person standing on the spot. 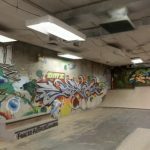 As technology advanced, QuicktimeVR was left behind and eventually stopped working and Skateparktour.ca had to switch to slide shows to showcase Canada’s skateparks. 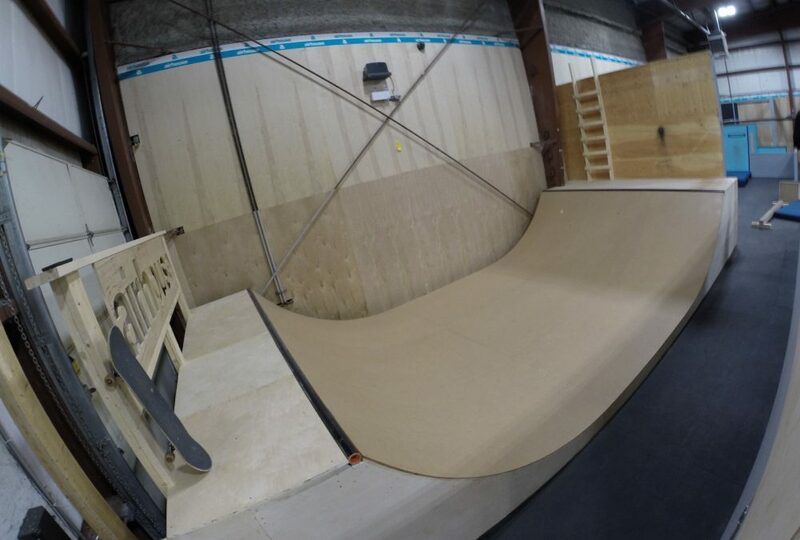 Thanks to the development of affordable spherical cameras and HTML5, virtual tours are back on Skateparktour.ca, and they are bigger, better, and more immersive than ever before! 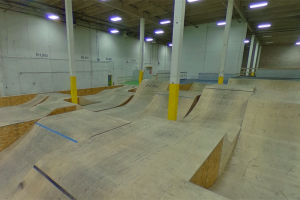 The new virtual tours come with a set of controls you can use to explore the skatepark. On phones and devices, gestures also work, and you can look around the skatepark by moving your phone too! Clicking/tapping on icons in the tour will take you to that location in the skatepark.